So, kids did it again. During another BOOK BUZZ last week, the student and staff presenters provided a perfect, eclectic list of great books for us to give the kids in our life this holiday season, and to read ourselves. This time, the presenters were all students and teachers from Marion Cross School in our hometown of Norwich, Vermont. So, a HUGE THANK YOU to the Marion Cross School presenters (listed at the end of this list), the Marion Cross PTO, Stephanie McCaull for her excellent coaching skills and unwavering support, the Norwich Bookstore for generously donating 20% of sales from BOOK BUZZ to the school, and all who attended and provided these amazing presenters a great audience (around 150 people), while also reinforcing the importance of reading great books. Without further ado, their selections and their 6 word reviews. Please have fun giving and getting the books on this list. Sled Dog School by Terry Lynn Johnson (2017). Selected by Guin – Inspiring tale of perseverance. The Pushcart War by Jean Merrill (1964). Selected by Phin – NYC pushcarts fight truck bullies. Shiloh by Phyllis Reynolds Naylor (2000). Selected by Isla – Boy rescues abused dog, loves him. Matilda by Roald Dahl (1988). Selected by Blythe – Girl escapes mean parents with magic. Where the Red Fern Grows by Wilson Rawls (1961). Selected by Felix – Boy, dogs will make you cry. The Expeditioners and the Secret of King Triton’s Lair by S.S. Taylor (2014). Selected by Jacobi – Kids go on an underwater adventure. Maybe a Fox by Kathi Appelt & Allison McGhee (2016). Selected by Zabava – Fox helps save a girl’s happiness. Misty of Chincoteague by Marguerite Henry (1947). Selected by Kaya – Determined brave children befriend wild pony. A Long Walk to Water by Linda Sue Park (2010). Selected by Izzy – A boy’s journey during fatal war. How Things Work by T.J. Resler (2016). Selected by Natalie – Shows how machines like iPhones work. The Assassins Curse: Book 3, Blackthorn Trilogy by Kevin Sands (2017). Selected by Spiro – Apothacary-in-training stops assassins in 1665 Paris. Full Cicada Moon by Marilyn Hilton (2017). Selected by Jess – Underestimated Vermont girl dreams of space. Number the Stars by Lois Lowry (1989). Selected by Iver – Girl helps resist Nazis in Denmark. Katie and the Cupcake Cure (#1 Cupcake Diaries) by Coco Simon (2011). Selected by Mayuri – Awesome cupcake-cooking girls have adventures. Save Me a Seat by Sarah Weeks & Gita Varadarajan (2016). Selected by Madeline – Two new friends unite against bully. I Wish You More by Amy Krouse Rosenthal & Tom Lichtenheld (2015). Selected by Mr. Bill – Wishes do come true with guidance. Good Night, Planet by Liniers (2017). Selected by Lisa – MCS dad pens great graphic novel. The Astounding Broccoli Boy by Frank Cottrell Boyce (2015). Selected by Jai – Boy gets bullied and turns green. The Flea: The Amazing Story of Leo Messi (2013). Selected by Kai – Short, fast boy becomes best player. As part of our mission to promote authors, the joy of reading, and to help independent booksellers, we’ve paired with the The Norwich Bookstore in Norwich, Vermont to present an ongoing series entitled “3 Questions”. In it, we pose three questions to authors with upcoming visits to the bookstore. Their responses are posted on The Book Jam during the week leading up to their engagement. Our hope is that this exchange will offer insight into their work and will encourage readers to attend these special author events. Ann Hood is the author of six novels including The Obituary Writer and The Knitting Circle. A native of Rhode Island, she travelled the world as a flight attendant before turning to writing. She has won two Pushcart Prizes, two Best American Food Writing Awards, Best American Spiritual Writing and Travel Writing Awards, and a Boston Public Library Literary Light Award. We have had the pleasure of dining with her (and hearing her speak) and can also personally attest that she is a superb and entertaining person. Ms. 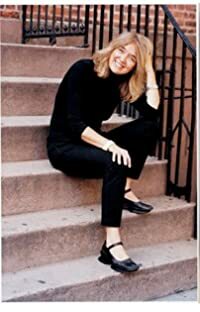 Hood will appear at the Norwich Bookstore at 7 pm on Wednesday, September 10 to discuss her latest book The Italian Wife and her writing life. Reservations are recommended. Call 802-649-1114 or email info@norwichbookstore.com to reserve your seat. 1. What was the last book that kept you up all night reading? I am addicted to the Commissario Ricciardi detective series by the Italian Writer Maurizio de Giovanni. They all keep me up reading! Ricciardi is a homicide detective in 1930s Naples who hears the last words of dead people. I just got the latest one, By My Hand, and anticipate sleepless nights ahead. 2. If you could give your own book award to an outstanding title you read last year, what would it be? All the Light We Cannot See by Anthony Doerr. A big hearted, fat book that I loved sinking into. The setting of World War ll Europe is intimately portrayed, and the way the two characters lives interweave and converge is brilliant. 3. What three authors would you invite to a dinner party? I like wild dinner parties, so I would probably invite Zelda and Scott Fitzgerald, serve lots of booze, and jump into a fountain at the end. Oh! That’s only two. 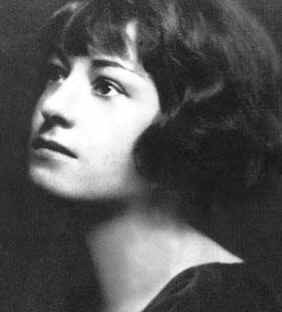 I guess Dorothy Parker would make things interesting. And now our second author – SS Taylor, whose Expeditioner Series is perfectly illustrated by Katherine Roy. S.S. Taylor has been fascinated by maps ever since the age of ten, when she discovered an error on a map of her neighborhood and wondered if it was really a mistake. She has a strong interest in books of all kinds, expeditions, old libraries, mysterious situations, long-hidden secrets, missing explorers, and traveling to known and unknown places. SS Taylor lives in Vermont; and we at the Book Jam are superbly lucky to call her a friend. SS Taylor will appear in at the Norwich Bookstore from 1 to 3 pm on Saturday, September 13th to celebrate the publication of the second novel in her Expeditioners series The Expeditioners and the Secret of King Triton’s Lair. While the book is geared to middle grade readers, all ages will enjoy the Expeditioners, and all are welcome during this special event. Because this event is part of the Bookstore’s Second Saturday series, reservations are not required, but an RSVP is appreciated. When you call (802) 649-1114 to RSVP, you may also pre-order your signed copy of SS Taylor’s works. I just finished Ben Macintyre‘s A Spy Among Friends: Kim Philby and the Great Betrayal and couldn’t put it down. It covers the beginnings of the British and American spy agencies during World War II and then the intricate web of lies told by Soviet double agents like Philby during the Cold War. Macintyre looks at Philby’s betrayal through the lens of his long friendships with other British spies, which gives this true story the depth and level of character exploration of a great Le Carre novel. I also really liked Macintyre’s Double Cross about the turned spies (eccentric characters all) who helped convince Hitler that D-Day was going to happen in Calais rather than Normandy, thus giving the Allies crucial extra time. 2. What book did you last give as a gift and why? I recently bought a copy of David Weisner‘s Flotsam for my nephew. It’s an amazing wordless picture book about a boy who finds a mysterious camera on a beach and gets the film developed. My kids have loved it (though I had to explain “film” to them!) I think my nephew will too. 3. What three books would you re-read if you had the time to do so? Hmmm. I love re-reading favorite books, so I haven’t exactly been holding myself back! 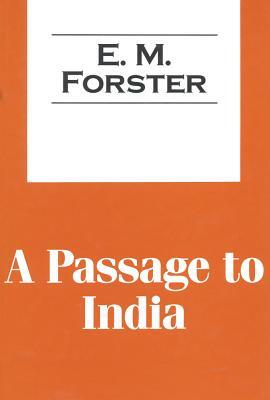 But if I had a week with nothing to do but read, I might do an E.M. Forster marathon — Howards’s End, Room with a View, and Passage to India in one go! Ahhh, it’s time for summer camping and summer camps. Whether your kids are going away by themselves or camping with the family, all kids will have more hours to read for pleasure during the brief weeks we call summer vacation. To help you find the right books for your “campers”, we have selected our annual summer book picks for kids. And no matter what your kids are doing, or whether you even have kids yourself, you might want to pick up one or two for yourself. Enjoy! Bo at Ballard Creek by Kirkpatrick Hill (June 2013) – Fans of the Little House series are going to love this tale of Bo – an orphan adopted by two tough miners in 1920s Alaska. The illustrations perfectly show both her exuberance and the wide variety of characters who inhabit a hard scrabble mining town in the Alaskan Bush. The prose is delightful as readers learn about mining camps, the hazards of Grizzlies, fourth of July celebrations and how Eskimos, Swedes, Finns, Russians, Creoles and others all mix together to form a town and many extended families. 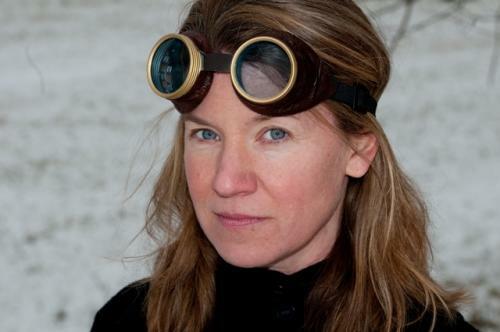 The Expeditioners by Sarah Stewart Taylor (2012) – We have mentioned this before, but now it is a pick for Vermont’s prestigious DCF award for children’s literature, so we include it again here. This book introduces us to Kit the brain, M.K. the tinkerer, and Zander the brave — three siblings trying to figure out what happened to their father, an acclaimed explorer gone missing, and presumed dead. Their other problem? As they work to find their dad, evil government employees are after them. The Runaway King by Jennifer Nielsen (2013) – The second book in Ms. Nielsen’s Ascendance trilogy, this time Jaron is the legitimate King with enemies all around. Who can he trust? What happened to his dearest friend and who is trying to kill him this time? A truly satisfying installment in this series. The first book – The False Prince is in paperback now, and will cost less to mail if your kids have not yet started this trilogy. Wonder by R.J. Palacio (2012) – “I won’t describe what I look like. Whatever you’re thinking, it’s probably worse.” says August Pullman, a boy born with a facial deformity that has prevented him from going to a mainstream school. Finally starting 5th grade at a prep school, he wants nothing more than to be treated as ordinary. However, his classmates can’t quite let that happen. The novel starts from August’s point of view, but switches to many others. The characters emerge changed, and you will too. 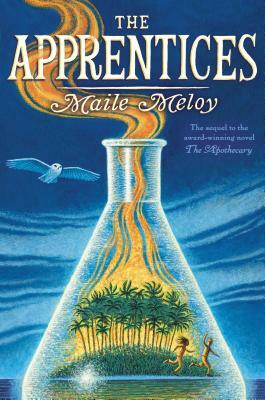 The Apprentices by Maile Meloy (June 2013) – This second installment in Ms. Meloy’s Apothecary series takes up where book one left off, with Jane, Benjamin and Pip all having gone their separate ways. Pip stars in a BBC production; Jane is back in the USA with her parents attending boarding school in NH; and Benjamin is traveling with his apothecary father trying to contain the atom bomb, stalled in 1950s Asia. What this book does well is bringing Cold War history to life, and creating characters readers care about. Pre-teen readers will also like the romantic complications that occur as the trio reunites to stop evil from taking over the world. As with Ms. Nielsen’s series, the first book in this exciting trilogy – Apothecary – is in paperback now. Divergent and Insurgent by Veronica Roth (2011) – I finally got around to reading this young adult novel because my niece had it at the beach. And, while it is impossible to read this without thinking about The Hunger Games, or (as my sister said) without reading it while simultaneously casting the movie in your head, anyone who misses the novelty of The Hunger Games will love this dystopian series, with its heroine Beatrice and her friends Will, Christina and Tobias. Good Kings Bad Kings by Susan Nussbaum (28 May 2013) – I really need to remember to look to the PEN/Bellwether prize winners for socially engaged fiction whenever I need a good plot with great writing. Alternating chapters and narrative voices, this latest winner looks at a “home” for kids with disabilities and their caregivers and their daily lives. Throughout, you see their dreams and relationships blossom, fall apart and reconstruct. The author use wry wit and humor to create memorable characters who live on in your head long after you finish reading the last page. Billed as a young adult novel, adults will love it too. Eleanor and Park by Rainbow Rowell (2013) – Set during one school year in 1986, this is the story of two star-crossed misfits — both from he wrong side of the tracks and smart enough to know that first love rarely, if ever, lasts, but willing to try anyway. When Eleanor meets Park, you’ll remember your own high school years, riding the school bus, any time you tried to fit in while figuring out who you were and your first love. I truly believe that when the book ends you will think hard about children from the “other side of the tracks” and from family situations that are less than ideal. Beautiful Creatures by Garcia and Stohl (2009) – A gothic romance series for teens. Lena Duchannes arrives in Gatlin, South Carolina making a statement with her clothes and the fact she lives with her extremely eccentric uncle (think To Kill A Mockingbird’s Boo Radley). She also is dreading her 16th birthday for a variety of reasons. Ethan Wate, born and bred in Gatlin, is from a family so established he does not have to worry about fitting in, he worries about getting out. When they discover the voices they have been hearing in their respective heads are each others, a connection is formed and they work to change Lena’s fate. Bonus — if you like this book, there are many others in this series.